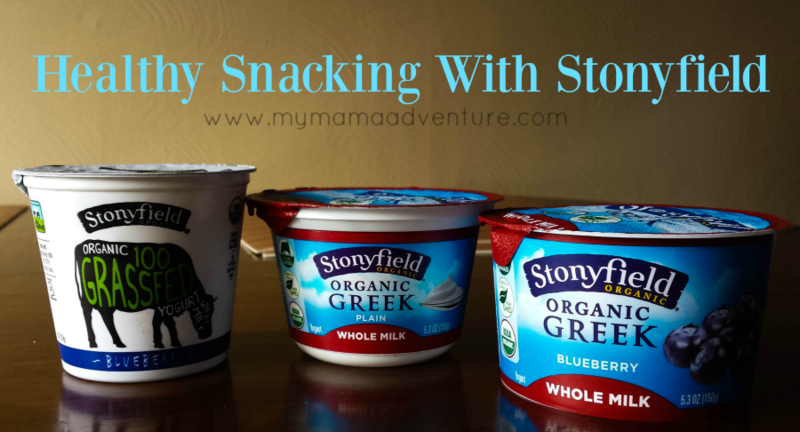 When Stonyfield sent me some of their new yogurt products, I was really excited! I love trying anything new and with a pending 21 Day Fix, something new to snack on would really be helpful. I feel like Stonyfield is always trying to add new and fun yogurt products (Oh My Yog! Seriously, so yummy! Wish my local store had the Apple Cinnamon, I hear it tastes like apple pie…drool). Anywho, I digress. Their current new products are: their Whole Milk Greek line and 100% Grassfed line. I’m a sucker for whole milk anything, probably because I’m breastfeeding and have the awesome luck of losing weight while breastfeeding. Because of the weight loss though, I do keep whole (healthy) fat foods in my diet so I know that Baby H is getting enough fats as well. The Stonyfield Whole Milk Greek is so rich and creamy. I’m super picky about Greek yogurt, many I don’t like the flavor or the smell of, but Stonyfield is a milder taste for those who struggle to go Greek. I love to mix in peanut butter, honey, or fruits with my Greek yogurt, and now, Stonyfield has even made that easier with a line of Whole Milk Greek with fruit or honey on the side. You can put in as little or as much as you want. Perfect for trying to control sugar during a 21 Day Fix! The Stonyfield 100% Grassfed yogurt continues to be non-GMO, organic, and free of artificial hormones. It’s also from 100% grassfed cows. The flavor and consistency is very different than their other yogurts. Honestly, it took me some time to get used to it, but I was the same way with Greek yogurt. I really like the Grassfed for dipping fruit into, which may be too much fruit/sugar wise for a 21 Day Fix, but hey, I’m a rebel. I figure, as long as I’m not dipping chocolate covered pretzels or chips into it, I’m doing good! I’m not perfect, snacking is a thing for me. But, thankfully, Stonyfield makes it a little easier with their yogurts, they’re yummy and each of their products have different flavors and textures, so it will satisfy many of my snacky needs. And, when in doubt, mix in some tasty seasonings to make a ranch dressing and dip some crunchy veggies. Crunch + protein = win. If you’re looking to try any of Stonyfield’s awesome yogurt products, check out their website, they have a nice and handy section to put in your zip code to see where you can buy their amazingness.